at first i was on the fence..
but i agree with the part that says they should have taken her to the hospital after she hadnt eaten for days. they can do their lil 3 years. i hope obama doesnt get involved. Obama bet not do or say nuffin'. Who the fucc is you that you can invoke Obama? Wait the lil girl wasn't eating? What's the name of that illness? who are these witnesses that knew the girl was locked away without food or water and did nothing? 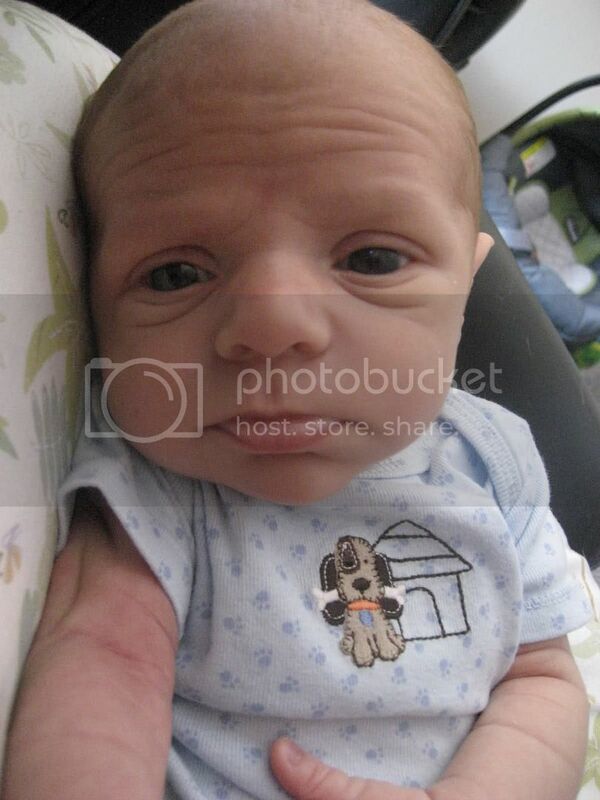 I don't really trust this court system after the comments about no one wanting to adopt "ugly" black kids. An inflamed pancreas....better believe Gloria was complaining of stomache issues or hurting if she had an inflamed pancreas, why didn't they take her to the doctor? I've been reading about this case off/on, I don't understand why they didn't take her to a hospital and had her feed through a tube. So there is some accountability on their part but if they other children weren't malnourished I tend to reject the organ trafficking theory. Who were those witnesses? Their maids? I don't trust their court because they accused them of wanting to sell organs of a malnourished child. I think those parents did not kill the little girl; they just did not know how to handle her food disorder. They should have sought a professional, but 3 years for a crime they did not commit in a foreign jail? DOHA, Qatar (AP) — A Qatari appeals court on Sunday overturned a ruling against an American couple over the death of their adopted daughter and said they are free to leave, ending a closely watched legal saga that may have stemmed from cultural misunderstandings in the conservative Gulf nation. 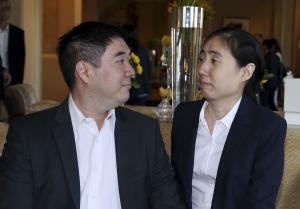 Los Angeles couple Matthew and Grace Huang, who were originally jailed on murder charges following the January 2013 death of their adopted daughter Gloria, headed to the airport soon after the ruling to try to leave Qatar, said Eric Volz, who is coordinating legal and publicity efforts for the family. The couple was convicted of child endangerment and sentenced to three years in prison in March. They were allowed to remain free pending their appeal but could not leave the wealthy OPEC nation. The Huangs say 8-year-old Gloria died of medical problems complicated by unusual eating habits that included periods of binging and self-starvation. Prosecutors alleged she died after being denied food and locked in her room. 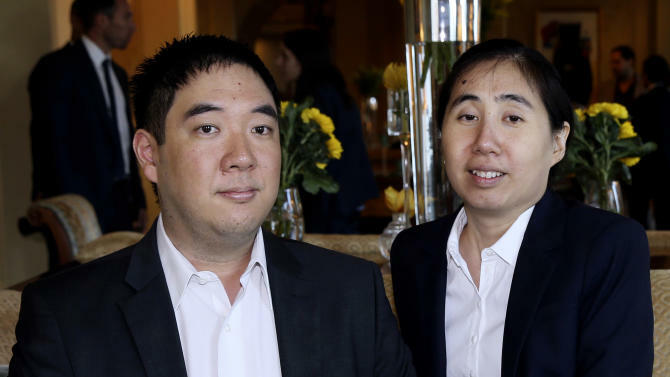 The Huangs have two other African-born adopted children and have been pressing Qatari officials unsuccessfully for permission to leave the country to be with them. "It has been a long and emotional trial for me and my family, and Grace and I want to go home and be reunited with our sons," Matthew Huang said after the ruling. "We have been unable to grieve our daughter." U.S. officials intervened on the couple's behalf, with State Department spokeswoman Jen Psaki last month urging Qatar to lift their travel ban immediately and bring the case to "an expeditious and just conclusion." Qatar hosts an important American military air operations center involved in airstrikes against the Islamic State group. Western-style adoptions and cross-cultural families are relatively rare in 2022 World Cup host Qatar, which has aggressively pursued a higher international profile through sporting events and overseas investments. A report by Qatari police had earlier raised questions about why the Huangs, who are of Asian descent, would adopt children who did not share their "hereditary traits."